Hello all, in tonights operation we will use an extended version of Ace medical with a supplementary rework of CPR. Never fear, at this point in time we have not introduced any new items for regular players and only few for medics, however, a drastic improvement is made to the features surrounding treatment. Here is a breakdown of changes, ending with a theoretical simulation and a step by step guide on how such a situation should be handled from you. If you have any questions post them here. A state in between fully alive and completely dead, where you can help your buddy. It will take focused effort, but you can save your buddy where he would otherwise have been out for the night. CPR now has a purpose – it keeps a player alive while he is in revive state. Do CPR when a person does not have a pulse. You will need medics to effectively treat your buddy, but YOU are keeping him alive until then with continued CPR. An unconscious person can not protect himself – maybe something blocks the airways, it could be patients own tongue. You need to make sure your buddy can breathe, and if he cant, “hyperextend the head” to make way. Just don’t leave right after, as the head needs to be held In place. You can do other things as long as you stay close though. Airways interaction requires you select the head body part, CPR requires the torso, just like medicine are injected into limbs. (A) Airways: substantial risk of death if left alone, but no danger if the airways never get blocked. Blocked airways = suffocation. - Bleeding: unless bleeding is stopped, the patient will drop in Blood pressure to the point of circulatory failure, meaning the revive state begins. - However, if the initial damage is great enough, the patient can be so harmed that he enter revive state right away. 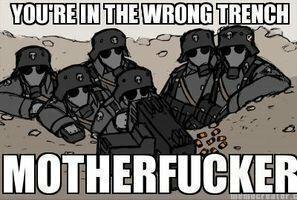 Consider this possibility especially if someone is hit by a full burst of MG, explosions or during close range firefights. No way to be sure other than checking fast though. Depending on severity, this situation can be stabilized/maintained with 1 person, but can require the attention of 2-4 individuals. Medics can provide radio supervision if needed. If medics are present, let them take over treatment, and follow their instructions. Always inform other people of what you are doing.